Aquamart provides tools to improve efficient water resource utilization, increase proactive and collaborative management solutions, and build the leadership of current and future water managers to better connect all Nebraskans to the water resources of their state. Encourage leadership and collaboration between all water users to foster a sense of proactive commitment to water sustainability. Identify water issues and leadership stakeholders for the long-term management of water resources. 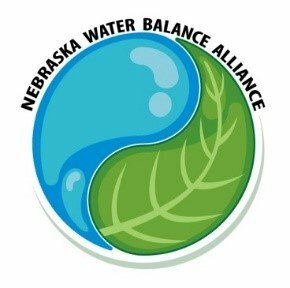 The Nebraska Water Balance Alliance (NEWBA) is a non-profit grassroots organization dedicated to supporting the comprehensive and sustainable management of Nebraska’s water resources for its citizens, now and in the future. In support of that vision, NEWBA is working with ‘on the ground’ tools to target effective water conservation and management in agriculture across Nebraska. To carry this vision to the next level, NEWBA is proud to introduce Aquamart: The Ag Water Performance Nexus, a new program designed to link targeted on-farm water management practices to the larger framework of water use, conservation and management across the state. Producing food, fiber and fuel for a growing world is the goal of Nebraska Agriculture. This goal cannot be reached without the sustainable use and management of water. This goal also cannot be reached without all Nebraskans understanding their relationship to water. Because agriculture is the largest user of water in the state, it is imperative that agriculture lead the way in its wise management, not just in agriculture, but for all uses. The goal of Aquamart is to promote sustainable and measureable improvement to Nebraska’s water resources by providing value at all levels to all stakeholders. Working on water issues in Nebraska is complicated. There are many people representing a variety of interests, understandings, economic realities and geographic conditions. Effective science, policy and practices are challenged to keep pace. Placing diverse audiences on a convergent path toward mutual success is complex and difficult. In order to be successful at managing water in Nebraska, everyone must have a shared understanding of a shared resource. The value of this project is to find ways to bring good science, technology and practice to Nebraska Agriculture while providing healthy working watersheds for the citizens of Nebraska. If a group of irrigators adopt water saving technology at the field level to improve their bottom line, we must work harder to understand if and/or how those improvements benefit other stakeholders in the watershed. Continuous improvement is a staple of sound management. Applying those principles to water management practices in agriculture helps to promote sound governance. By cultivating water leadership at all levels of water management, Aquamart creates a peer learning network for ag producers, a clear and consistent communications platform, and reliable source of science, evaluation and outreach about water for all Nebraskans. Water performance zones (WPZ) will highlight best practice and technology for sustainable water management addressing such issues as; water quality, water quantity, watershed timing and availability and/or watershed function/aesthetics. WPZ’s will also demonstrate tools and practices needed to adjust to the variability of farm production on a seasonal basis. Practices that might make sense in a strong price year with low precipitations may not make sense in low price years where abundant precipitation occurs. Helping producers to know how to formulate risk from uncertainty in their water management will benefit all water users in the state. In order for that to happen, leadership and shared vision must be cultivated at all levels of water use in the state. This project will work with all interested parties to develop a shared culture of water management with agriculture leading the way to a sustainable future for Nebraskans and their water.